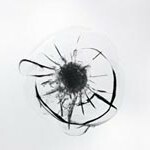 There are numerous factors that can cause a crack in a vehicle’s windshield to become bigger, and some of these include rapid changes in temperature, driving on a bumpy road and a buildup of ice. Before a chip is fixed by a company that repairs auto glass in Houston, you may use cerium oxide, tape or epoxy to prevent a small crack from spreading. Sunshine can accelerate the expansion of a crack in glass by exciting the molecules that constitute the glass and heating the windshield. Parking a car in direct sunlight may have a more substantial impact on cracks than driving the automobile on a sunny day because the wind that hits the glass when the car is moving will reduce the windshield’s temperature. As an automobile traverses a street that has many potholes and sizable bumps, the jarring effects that are caused by the uneven pavement will prompt the glass to shift, and this movement has the ability to enlarge the crack. If the vehicle is being driven on a road that is made of gravel, small pebbles can hit the windshield at high speeds and create new chips in the glass. Experts from companies that offer Houston windshield repair services recommend that customers should pour rubbing alcohol into the crack in order stop dirt and tiny particles from becoming lodged in the gap. You can also place clear tape on the opening to prevent debris from entering the crack. By putting clear resin in the gap, you will be able to temporarily halt its expansion and improve the windshield’s appearance. Once the epoxy has been placed in the crack, you can let it dry for 24 hours to 48 hours, and you may use a plastic scraper to remove the leftover resin that is surrounding the opening. If the outside temperature is relatively low, you should attempt to remove any water or ice from the windshield. If liquid seeps into the crack, it may freeze, and as the ice expands, it will substantially increase the size of the chip or crack in the windshield. When this compound is dry, the substance has properties that are similar to those of glass. Like epoxy, sodium silicate can be poured directly into the crack, and some studies have indicated that the compound lasts twice as long as resin. In order to implement this strategy, you will have to add a teaspoon of cerium oxide to the pad of an electric polisher. After putting on goggles and a mask, you should buff the section of the glass that is scratched while the polisher is spinning at a speed of 2,500 repetitions per minute. Once the process has been completed, you can use warm water and ammonia to swiftly remove the cerium oxide from the glass. All of these options to help stop a chip or crack from getting bigger are prevention methods until you can take your vehicle to a Houston windshield repair and replacement company to make sure the repair is the best solution. Many auto insurance companies will cover the cost of repairing or replacing a cracked windshield without requiring the customer to pay a deductible. Moreover, insurance providers will help you to choose a business that guarantees that the crack will remain sealed for at least one year after it has been fixed. If your automobile’s windshield needs to be repaired or replaced, contact Apple Glass at 713-680-1440 to obtain a free price estimate. We have been providing The Woodlands and Houston windshield replacement and repair services for more than 25 years. This entry was posted in Auto Glass, Windshield Repair and tagged Auto Glass Houston, Houston Windshield Repair, Windshield Replacement Houston. Bookmark the permalink.